Tasha, a young American woman from a Dominican background is madly in love with Alex. Good looking with blue eyes and a dimple in his chin, Alex seems smitten with Sasha, a seductress who is everything Tasha is not. Desperate to make Alex fall in love with her in time for Christmas, Tasha browses in an odd bookstore in Williamsburg. The proprietor, a strange old woman with long orange hair hands her a recipe for a love potion. Is Tasha naïve to believe this might actually be magic? Despite warnings that the old woman may be a demon, Tasha tries to get all the ingredients of this unusual recipe. With the aid of her good friend James, she manages to put it all together with the exception of one unusual ingredient. But even if she succeeds in adding the final element, can she administer the dose of nine drops on nine separate days? And if she does, what will happen? 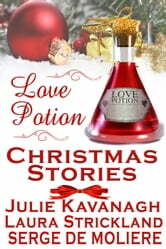 When Santa asks his worker, Olja, to help make another elf’s Christmas wish come true, she believes the job calls for a love potion. Brewing it up will require her to travel all around the North Pole gathering unusual supplies, and to take a few dangerous risks. But she’s never failed Santa in the past and doesn’t intend to now. Elf Runi’s in the business of guiding Santa’s sleigh and making other people’s wishes come true. This year he’s dared make a wish of his own, one from the heart. When he meets Olja, he hopes he’s found his forever. But it will take assistance from a reindeer, a generous helping of love and a whole lot of magic to make his wish come true. That is, if Olja and Runi can just outwit the three troublesome trolls who decide they’d make a fine winter’s snack. Ellie thinks she’s past being jilted but in the four years since she hasn’t dated a soul. 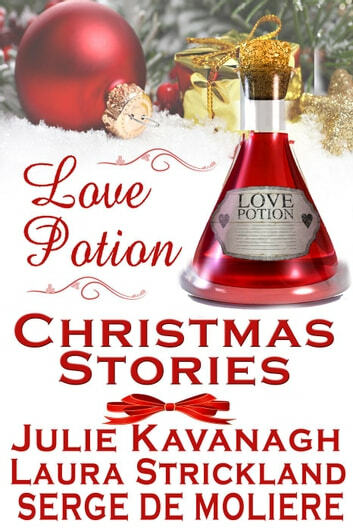 Now, Shelley, her best friend convinces her into buying a mysterious love potion which promises to change her life, but she attracts the wrong sort of attention including the man who broke her heart. Josh, a man with all the quantities she’s been looking for, appears but with her heart still bruised, she becomes convinced he is following her. When he turns up at her home, she threatens him with the police, but will his connections to her sister’s fiancé compromise her reputation? Upon meeting Josh, she is left dumbfounded by his good looks but is he the man destined to be her one and only? Can she learn to love again, or will her past forever doom her future?